Select adult (age 16+) and/or child tickets. Harmony Playground and Al and Jacqueline Silva are pleased to invite you to the heart of our home for an intimate, indoor concert featuring the upbeat, rhythmic music of Lee Coulter. 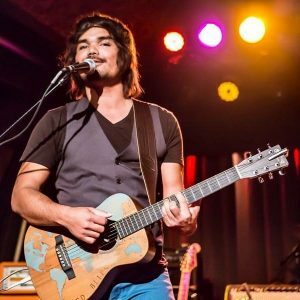 Originally from Brisbane, Australia and now based in San Diego, he uses the combined power of lyrics and music to promote the idea that human connection is what separates us from the rest of the matter in the universe. As it is summed up in one of his songs, “Stardust and forces of attraction, that’s all we are.” He is a classic songwriter in the modern age. Seats are limited and available on a first-come, first-served basis. Click the button above for your tickets. Potluck: Please bring food or drink to share. Plates and utensils will be provided.